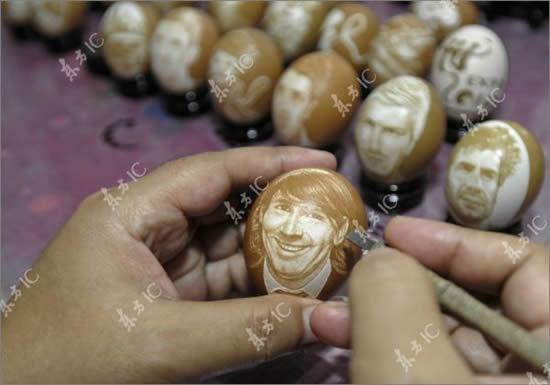 Wang Huaping, a Chinese artist and football fan, carves the faces of famous football players on eggs. 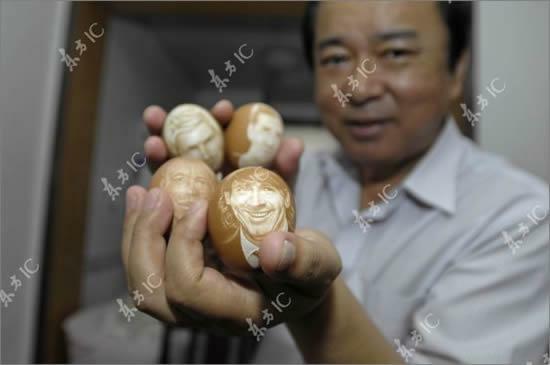 Wang Huaping has carved hundreds if not thousands of eggs, and is an established artist in his home city of Tianjin. His eggs include portraits of famous football players like Lionel Messi, David Beckham, or David Villa, all carved with a fine chisel. He has also carved the logos and mascots of the 2010 and 2014 FIFA Football World Cups. I’d like to see him try it on a Creme Egg. That would be cracking. 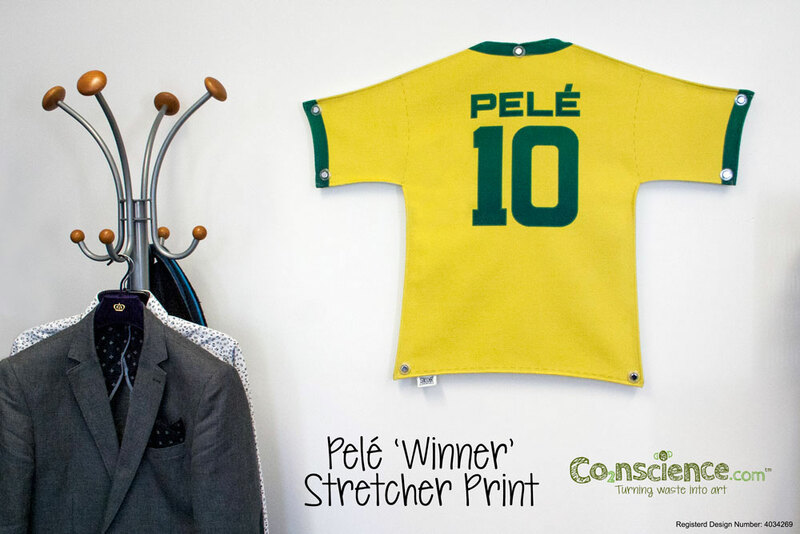 Stretcher Print is a unique wall print product, available exclusively from Co2nscience. They are Bradford-based eco company with a simple mission – to develop and sell super-cool, unique products made from recycled, re-claimed, and sustainable raw materials. Designed with ‘BIG’ in mind, they wanted to get away from the constraints of rigid square/oblong canvas prints. Because they don’t use wooden frames to make the prints, they can create really unique flexible shapes! Soft and felt-like to the touch, they are made from recycled plastic bottles too, which really gives them (and you) a warm feeling inside. 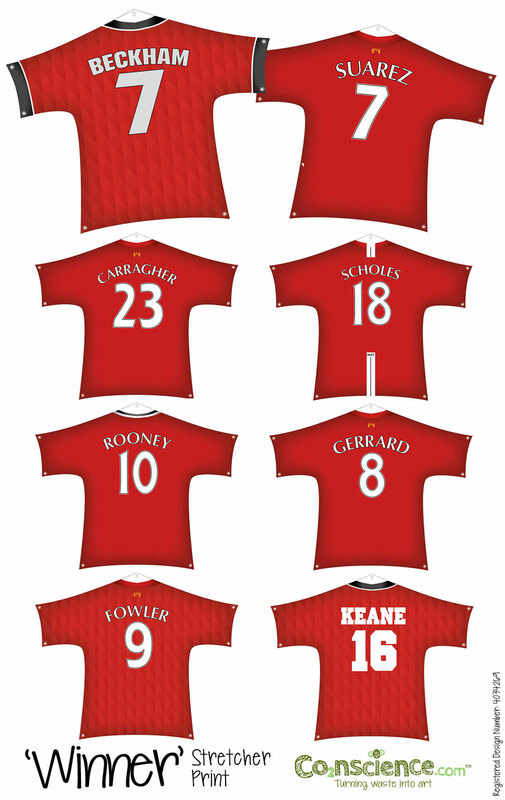 If you pledge on Kickstarter at the £39 pledge they will make you one of these shirts (and probably do an Arsenal and Chelsea set too). After the Kickststarter initiative ends (on the 10th April), they will retail at circa £50-£60 so if anyone wants a bargain you need to get in quick! I came across an interesting blog post today, whilst doing some research on Albert Camus and Racing Universitaire d’Alger (as you do). 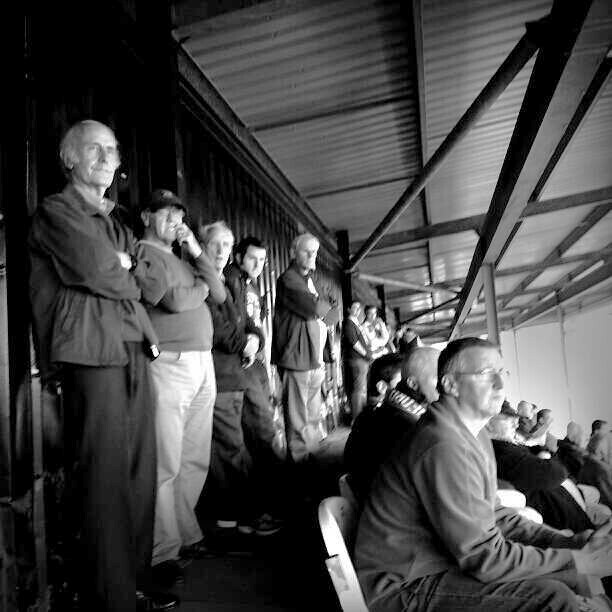 Entitled ‘Writers, doctors, goalkeepers‘ and posted to the UCL SSEES Research Blog this time last year, Tim Beasley-Murray writes about the UCL German Department’s research project in the ‘medical inhumanities’, doctors who were also writers, and, more pertinently for No Standing, writers who were also goalkeepers. “[The article makes] reference to the curious phenomenon of goalkeepers who are also writers (or perhaps better: writers who sometimes played in goal). Here, too, it is easy to see the grounds for this: while the rest of his team rushes about outfield, it is the goalkeeper who has the time between his sticks to think and to dream. As the Slovene-Austrian writer, Peter Handke (1942- ) suggests in his wonderfully entitled Novelle of 1970, The Goalie’s Anxiety at the Penalty Kick (well, it sounds better in German), the solitariness of the goalkeeper has a forcefully existential dimension that can easily result in a turn to literature. 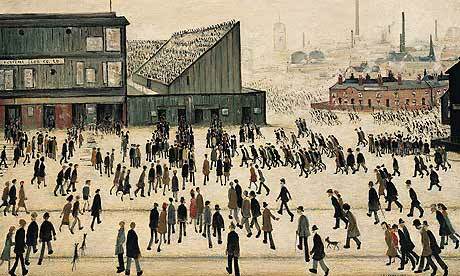 “Perhaps the best known British football painting is LS Lowry’s Going to the Match. The picture achieved a level of fame when, in 1999, it was bought by the Professional Footballers Association for £1.9 million. More modestly, it had earned Lowry a share of a £1,000 prize when it was one of four winners in the painting section of the 1953 Football and the Fine Arts competition, part of the celebrations of the FA’s 90th anniversary. Tate Britain is now holding a major exhibition of the painter’s work, which runs until October. “The crowd is shown walking to the match, although photographs from the time show that even in 1953 some of the area outside the ground was used for car parking. Several queues are forming at the turnstiles, with the majority paying at the gate. In the background, people are flooding from terraced streets, mills and factories, many probably dashing from Saturday morning overtime with only a short break for a cup of tea or a pint.